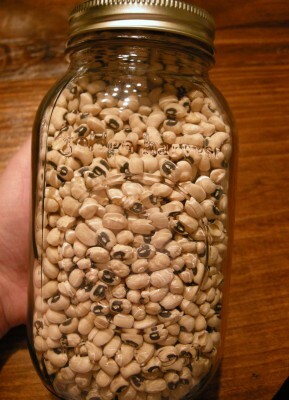 Black Eyed Peas For New Years Day – It’s a Family Tradition – But Not in my neck of the woods! In honor of all my Southern Friends and Family. Christy Jordan of The Southern Plate share’s with you the Tradition of Black Eyed Peas on New Year’s Day. My brother is married to a true Southern Belle, who cherishes the tradition of eating Black Eyed Peas every New Year’s. Which to this day, I never understood nor wanted to understand. This is the only reason I’m glad I was born a Yankee. I just can’t bring myself to eat, Black Eyed Peas or a “mess” of greens, for that matter. For all of you interested in cooking up a pot of Black Eyed Pea’s, Christy shared her family recipe for Black Eyed Peas. Cook up a pot, I dare you! It is supposed to bring you Money all year!